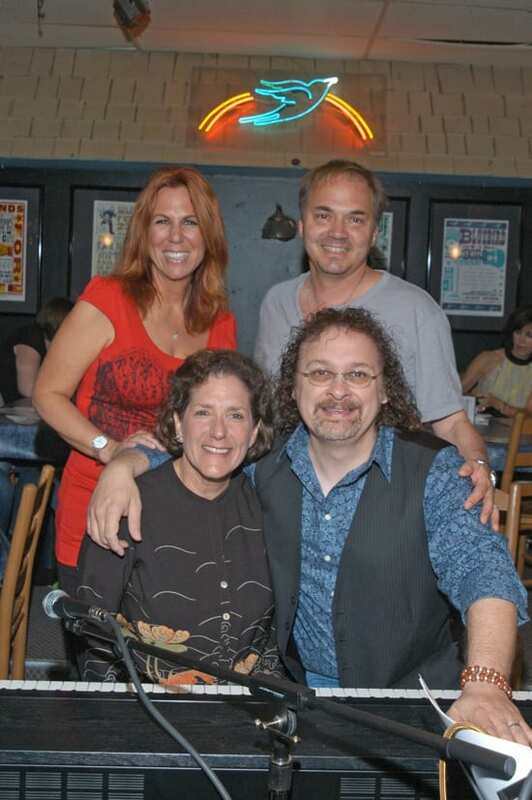 Victoria Shaw, Marcus Hummon, Julie Gold and Don Henry performed a benefit for MusiCares Friday (5/7) at the Bluebird Cafe. MusiCares has established the Nashville Flood Relief Fund to assist music people affected by the Middle Tennessee Floods. Initial assistance will provide funds for food and clothing, gasoline and transportation, clean up efforts, relocation costs, medicine and other critical supplies. In order to apply for assistance or to donate, please contact the South Regional office at (615) 327-0050 or toll free (877) 626-2748. CeCe Winans, Kellie Pickler, Jaci Velasquez and Will Hoge have been added to the line-up for Music City Keep on Playin’ – A Benefit for Flood Relief. The May 16 show will be the first nationally televised telethon and live concert for Nashville flood aid. Brad Paisley, Lady Antebellum, Dierks Bentley and Rodney Atkins were previously announced for the event at Nashville’s Ryman Auditorium. It will air on GAC, WKRN-TV in Nashville on Comcast channel 245 (over the air delivery at 2.2), and Sirius/XM Satellite Radio. Tickets start at $25 and are on sale at www.ryman.com and www.opry.com, by phone at 1-800-SEE-OPRY or the Ryman box office. Pop star Ke$ha is headlining her own flood recovery benefit at Limelight on Wed., June 16. General admission and VIP tickets are available here. “Nashville helped shape me as an artist and as a person and my love for this city is beyond words,” she says. “I will continue to do anything I can to help rebuild this city and support the families and animals who have been affected by this tragedy.” When the singer arrived in Nashville last week she immediately donated 1,000 pounds of dog and cat food to a local animal shelter. 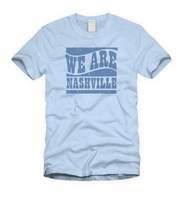 Music City’s latest fashion craze is “We Are Nashville” T-shirts. After being featured on CNN by Anderson Cooper, demand for the shirts crashed the Cool People Care site which is selling them. The Cool People Care clothing company picked up the saying from a post-flood rallying post on Patten Fuqua’s Predators fan blog. According to the Tennessean, 3,500 T-shirts have been sold so far, with proceeds raising $25,000 for the Community Foundation of Middle Tennessee’s Flood Relief Fund. The newspaper also reports that starting Thurs., the Nashville Clothing Co. will be the first retail outlet to carry the shirts. Tide, in partnership with Dollar General, is bringing its “Loads of Hope” team to Nashville. Free laundry services for residents and relief workers will be available Wednesday, May 12 through Wednesday, May 19 from 8AM – 6PM. They will be at Dollar General, 2403 Lebanon Pike. On May 12, venue Center Stage (514 8th Ave. S.) is hosting a benefit from 3-10 p.m. featuring Marthia Sides, Marty Raybon, Razzy Bailey, Kristina Cornell, DecemberRadio, Rachel Williams, Thom Shepherd, and more. $5 cover, donations welcome. BLEVE Records founder Mickey Milam will donate proceeds from this month’s sales at www.blevemusic.com to the local FOP and IAFF organizations to aid Middle Tennessee First Responders who lost their homes and belongings during the floods. During May, Delgado Guitars will donate profits from guitar and accessory purchases, and guitar repair to the flood relief efforts. On-air host CW at KMKS in Texas is offering free voiceover services to any flood victim who might need it. Email cw@kmks.com.